Remember when we were kids and always told people that we were older than we really were? What was it that made us want to grow up so fast? You know that you’ve really reached adulthood when the opposite begins happening. You know, when you begin to tell people that you are younger than you really are? Who doesn’t want to look younger? It’s an especially pleasing feeling to be told that you look younger than your age. 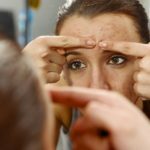 I’m not sure where this comes from exactly, but it’s not uncommon for people to spend a lot of time, effort and money on keeping themselves looking young, fit and healthy. And there is certainly nothing wrong with that. However, there isn’t a single one of us who can stop the hands of time. And that means, regardless of your diet and workout regimen, facial lines are bound to develop. Wrinkles, unfortunately, have still not yet reached a stage where society deems them particularly attractive. That isn’t to say that they can’t give you a distinguished look. It’s just that they distinguish you as…well, older. The number one benefit to Botox injections is that it helps to distinguish you as a younger person. Sure,it can’t turn back the clock, but it can sure make you look that way.The incredible popularity of Botox can be found in the fact that there are several other benefits to receiving the injections. The appearance of a younger you is the most obvious one. But there is much more to Botox than just wrinkle-removal. FoxNews.com, in fact, lists a number of incredible benefits to receiving Botox injections. It Battles Migraine Headaches. The news site states the Botox injections became approved by the U.S. Food and Drug Administration after studies confirmed that they helped to reduce migraine headaches. Botox works to release tension in the muscles, and when injected into the forehead, neck and shoulders, it relieves strain onthe nervous system. It Battles Excessive Sweating. As you may already know by now, Botox isn’t just a wrinkle-reducer. It has also been successful in warding off hyperhidrosis, or excessive sweating. 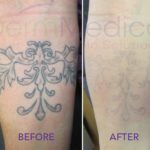 Also FDA-approved for this purpose, Botox injections stop the production of sweat by preventing the sweat gland-stimulating chemical, acetycholine from doing its dirty work. It battles muscle aches. Keeping mind that the main action of a Botox injection is to relax muscles, it has also been known to reduce arthritis pain. FoxNews.com reports that this was confirmed a study conducted by the Mayo Clinic. In our next blog, we’ll round out this list of battles that Botox can help you to win.